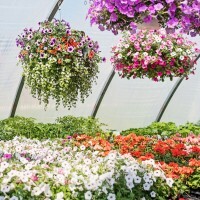 Come and browse in our beautiful greenhouse and yard! 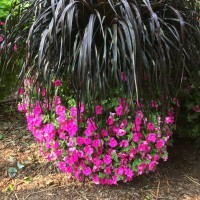 We have a wide variety of hanging baskets, patio pots, annual flats, shrubs and perennials as well as the garden essentials such as soils and fertilizers. 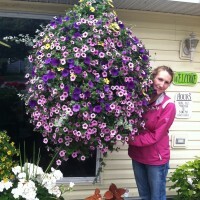 Samantha next to "Magnificent Mackinac"